The Network Scanner monitor is a Global Monitor that runs outside of any server. 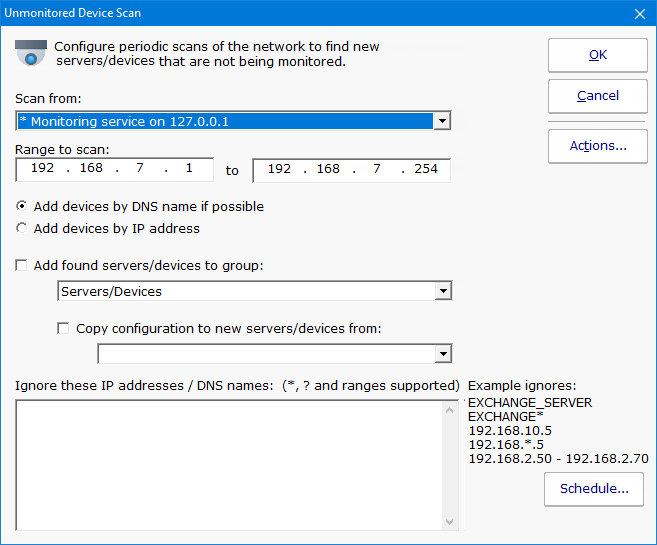 It does an IP address ping scan looking for servers that are not already being monitored. When new devices are found on the network, you can have them automatically added to PA Server Monitor to a specific group. You can also have a configuration copied from an existing server/device. If you configure actions for this monitor and new devices are found on the network, you will receive a list of those devices in the fired actions.